I like to burn candles. They give a room some umph and can change its energy. As the weather turns and it gets colder outside, I shift to heavier scented ones. 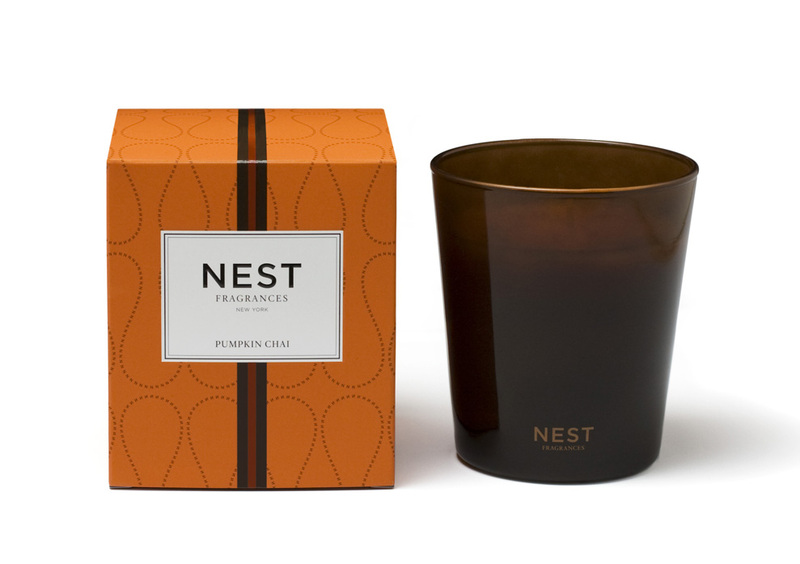 I was home one day recently and decided it was a good time to try one I was sent, Pumpkin Chai by Nest Fragrances. I will admit, when I first heard about it, I thought it’s to early to be thinking about the holidays. (Pumpkin triggers memories of mom’s cooking) But I decided I would give it a try mainly because of who’s behind Nest, Laura Slatkin. It’s no secret that I’m a fan of Harry Slatkin’s candles. Heck, Fresh Bamboo was burning in my home last weekend. So I was naturally curious to smell Pumpkin Chai and what his wife has cooking. Yes it’s warm, and cozy and a great fall scent. But what I appreciated most of all is how subtle it is. I was not expecting that. The scent was just enough to add to the moment without overpowering it. As we get closer to the holidays, the smells of cinnamon and pine will be chasing you as you stroll through the stores. Oddly, I never really want that in my home. Pumpkin Chai, however, is the best medium, awesome fall scent but not beating you over the head, that I’ve found. Pumpkin Chai by Nest Fragrances retails for $32 and is a blend of wild pumpkin, spicy Masala chai, cardamom, ginger, and cinnamon. Available at Neiman Marcus and other fine boutiques. This entry was posted in Uncategorized and tagged Christmas scents, fall candles, great candles, Harry Slatkin, holiday fragrances, holiday scents, home scents, Laura Slatkin, Neiman Marcus, Nest Fragrances. Bookmark the permalink.